Explanation: Auroras usually occur high above the clouds. The auroral glow is created when fast-moving particles ejected from the Sun impact the Earth's magnetosphere, from which charged particles spiral along the Earth's magnetic field to strike atoms and molecules high in the Earth's atmosphere. An oxygen atom, for example, will glow in the green light commonly emitted by an aurora after being energized by such a collision. The lowest part of an aurora will typically occur at 100 kilometers up, while most clouds usually exist only below about 10 kilometers. 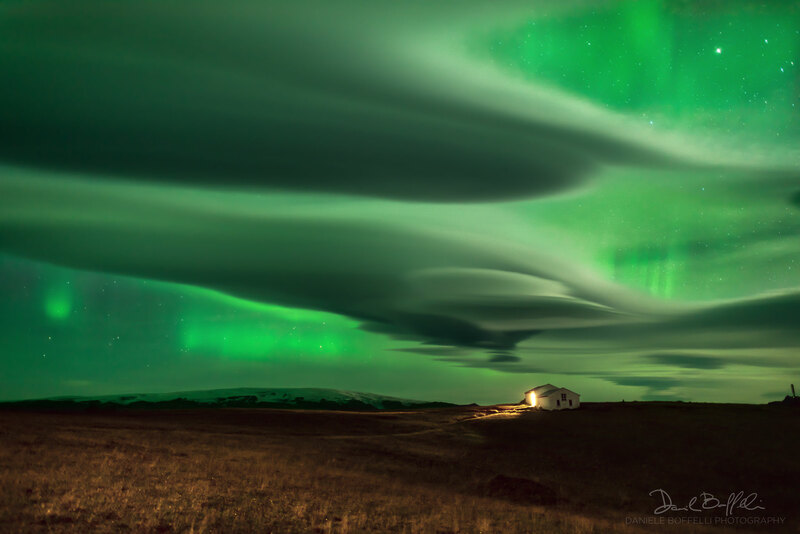 The relative heights of clouds and auroras are shown clearly in the featured picture from Dyrholaey, Iceland. 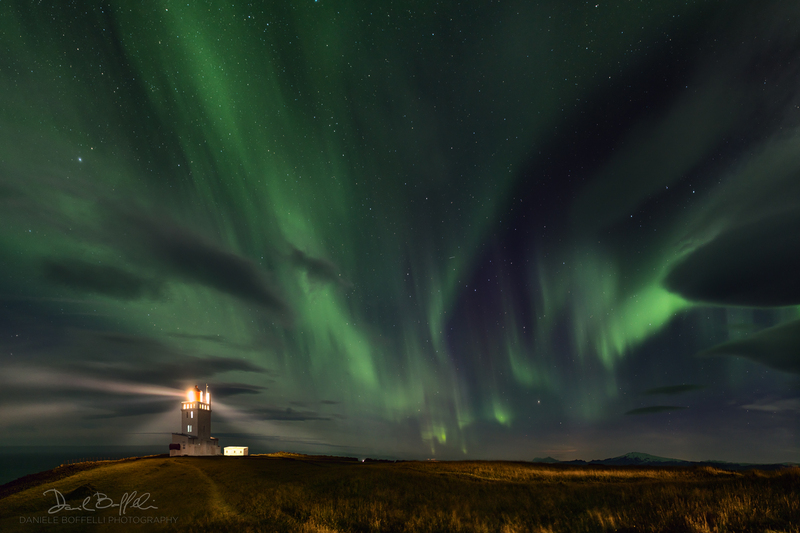 There, a determined astrophotographer withstood high winds and initially overcast skies in an attempt to capture aurora over a picturesque lighthouse, only to take, by chance, the featured picture along the way.